DJ DEETS is a writer for DJTechTools who covers some of the most exciting hardware and software releases from major developers. Aside from DJTechTools, he is a performing DJ, creative director for DEETS INDUSTRIES, a content creation firm he helped found, and signed to Sagarmatha Records. 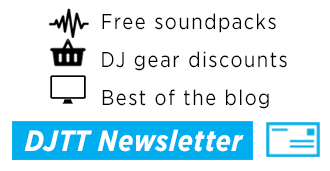 Hiding behind the much more prominent announcement of the NS6II earlier this week was another piece of gear - a "new from the ground up" NTX1000 turntable from Numark. Keep reading to get the stats on this new DJ turntable.